Explore two more New Mexico Pueblo communities today, with a tour of the Poeh Cultural Center at Pojoaque Pueblo. In the afternoon, take the scenic drive to Taos, New Mexico and take a guided tour of Taos Pueblo, and enjoy Native inspired lunch in Taos. After your tours, enjoy some additional sightseeing in Santa Fe and stay another night at Hotel Santa Fe. In the morning, take the quick drive to Albuquerque, New Mexico and head straight to the Pueblo Harvest Café to enjoy a breakfast from a renowned Pueblo-inspired menu. 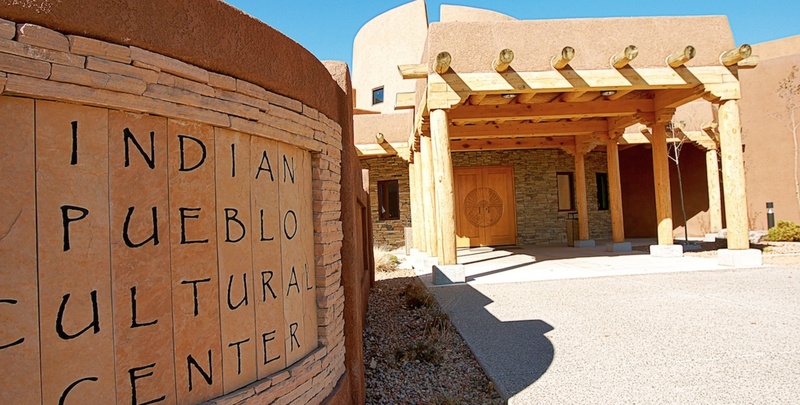 After breakfast, take a guided tour of the Indian Pueblo Cultural Center and Museum, owned by the 19 Pueblos of New Mexico, and explore the newly renovated museum with exhibits detailing the cultures and traditions of the Pueblos from all around the state. Before you depart from the Albuquerque International Airport, make sure to stop at the Starbucks across the street from the Cultural Center and have a cup of coffee at the first Native-owned and operated Starbucks in the nation.